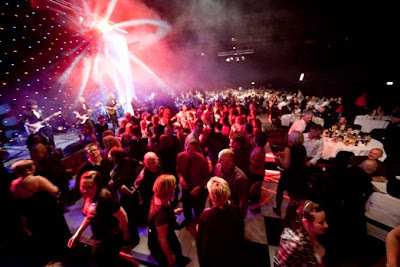 A fire at the former Sterecycle plant at the weekend, which led to Magna being evacuated and two Christmas party nights for a total of 1,400 people being cancelled, was a dampener on what had been a positive 12 months for the Rotherham corporate venue and visitor attraction. About 2,000 tonnes of plastic was involved in the incident which saw six fire engines called to the blaze at around 1.30pm on Saturday. John Silker, chief executive at Magna, said: "We really felt for all the people who had their Christmas parties cancelled at such short notice, but we had no choice because of the smoke in the building. We have been working hard to sort out refunds for everyone as quickly as we can. "We took advice from South Yorkshire Fire Service who worked so professionally in difficult circumstances and sadly had to cancel the parties and close the centre on Sunday, but Magna is just about back to normal now." Magna is the UK's first science adventure centre and is set in the former Templeborough steelworks. It is a family attraction with more than 100 hands-on exhibits. It also hosts regular school trips and has event space that can cater for anything from 30 people up to 3,000. Six other party nights in December had gone ahead as planned, with more than 4,000 party-goers attending in total. Bookings secured within this financial year have put Magna well on target to achieve over a £1m turnover by the end of 2014-2015. Events in 2014 have included conferences for blue chip companies such as Mercedes Benz, Honda, HSBC and the Royal Mail; an exhibition by an industrial tool distributor; a pool tournament; a jobs fair; Weston Park Hospital's annual charity dinner, and a tattoo convention. Magna’s first Winter Wonderland weekend earlier this month also attracted more than 4,500 visitors. In May Magna played host to the prestigious Yorkshire International Business Convention for the first time, with speakers including John Prescott, Michael Portillo and Robert Peston. Organisers were so impressed they have booked to bring the convention back to Magna in 2015. Silker added: "We are thrilled to have massively increased the value of corporate bookings at Magna and to have had such a busy 2014. Word is spreading about what a great venue this is and we look forward to attracting further growth in 2015. This year we have attracted substantially more large national events and next year we hope to increase this further to secure international business." Sterecycle, once valued at £56m, operated the Sheffield Road site since August 2008. The world's first commercial scale autoclave plant grew in terms of capacity and job numbers. It had impressed royals, government ministers and investors. Last month, Sterecycle (Rotherham) Limited was found guilty of corporate manslaughter following the fatality at the Rotherham facility in 2011. The firm called in administrators in 2012 following delays in raising finance on the Canadian stock exchange and "a significant downturn in trading results following a substantial fall in global recyclate prices."